In the placid town of San Andrés in El Hierro is where the legendary El Garoé once stood. It was a tree that gave life to the whole island. Although many doubt this story, experts can’t seem to refute it either. True or not, it’s remarkable enough to be one of the symbols of the island and inspire countless folktales. There are very few trees as revered as the El Garoé which is why its biography deserves to be told. The great Atlantic may be of astonishing beauty, but seawater cannot quench thirst. And, drinkable water was the resource El Hierro lacked the most. It has fertile soil and enough grazing grounds, but those were not enough to sustain life. In the olden days, the Bimbaches, the early inhabitants of the island, had but one source of water – El Garoé. It supplied enough water for their modest population and their livestock. It was their lifeline and the only reason they were able to survive. The precious natural wonder is believed to be from the Lauraceae family. As the ‘horizontal rains’ occur on this island, its leaves were able to collect ample raindrops. Mist from water clouds that surround its roof also meant additional potable water. All that was amassed fell into the ponds around it. Some legends say the Bimbaches created a route that led the water to a hole easily accessible to them. The early island dwellers kept the tree’s location in complete secrecy. Pirates who raided the island couldn’t stay long enough due to the lack of water and, so, they were safe for a while. Then, the conquest of the Canaries happened. Unfortunately, their big secret didn’t remain hidden. According to some legends, the natives refused to submit to the conquistadors. They were sure that the lack of water would drive them away in a few days. Agarfa, one of their own, betrayed them though. She fell in love with an enemy and revealed their source of water. This treachery led to her death in the hands of her former lover, Tincos. Her demise didn’t stop what was to come, though. With the location of the tree now known by the conquerors, water was no longer an issue, and there was no reason to leave. The small number of natives scattered in even smaller settlements offered no resistance. By 1405, Juan de Bethancourt has wholly subdued the island. In the early 17th century, a hurricane struck El Hierro. Alas, it blew down the tree. After hundreds of years, the beloved and extremely valuable El Garoé was no more. It wasn’t until 1957 that a replacement Laurel tree was sown into the very same ground where it once stood. Today, the substitute has grown marvelously. Like the mythical tree, it too continues to collect rainwater and fill the ponds that surround it. Only a few years ago, a 16-kilometer stretch of water route with a walking trail was built. It aims to promote the tourist spot and educate the visitors about the tree’s incredible history. The site of El Garoé is in a hilly countryside encompassed by lush, colorful floras. Tourists need not wait to reach it for dramatic views though. El Hierro is the most untouched island in the Canaries, so fascinating vistas greet visitors at every turn. Hiking through the splendid landscape of volcanoes and forests on the way up is sure to impress. The walk to the island’s memory lane is also very engaging. Along the way, there are the ancient Bimbache caves, farmlands, and grazing grounds. Once in the location, take a few minutes to admire the view from the outside. The home of El Garoé is a small parcel enclosed by enormous natural rock walls. It seems that even nature itself protected and hid the tree. A closer look will reveal the moss-covered replacement tree inside. It may not be the same tree that gave life to the Bimbaches, but it is likely as glorious. Also, take time to visit the Interpretation Center. Here, guests can learn about the tree’s rich history and archaeological importance as well as the ‘horizontal rain’ natural phenomenon. The stop is included in the El Hierro Passport’s list of tourist spots. It can be purchased at the airport’s Tourist Office, so there’s no entrance fee for El Garoé and plenty other sites. The attraction is open every day from 10:00 to 18:00. 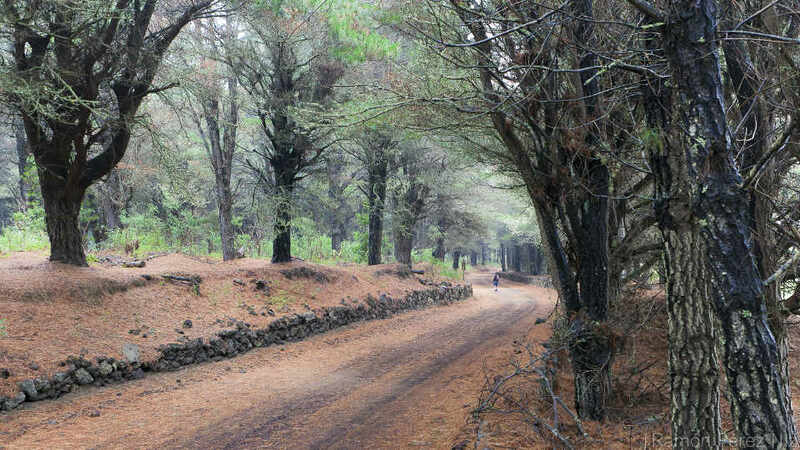 Hiring a car is the best way to explore El Hierro. Not only is the scenery fantastic, but visitors can go to different places at their own pace. As an option, taking a bus is also convenient. Guests should ask the driver to stop at a spot that is nearest to the site. The trail leading to the El Garoé offers breathtaking scenery, but it can be very slippery. Hence, it is essential to wear appropriate walking or hiking footwear. From the capital Valverde, bus line 2 takes visitors to El Pinar. It stops at San Andres where El Garoé Tree is located. The bus departs at 11:17, 14:47, 17:17, and 19:47. The village is tiny, and tourist can walk from the town center to El Garoé. Buses stopping at this hamlet also know where to drop off vacationers who would like to hike to the site. 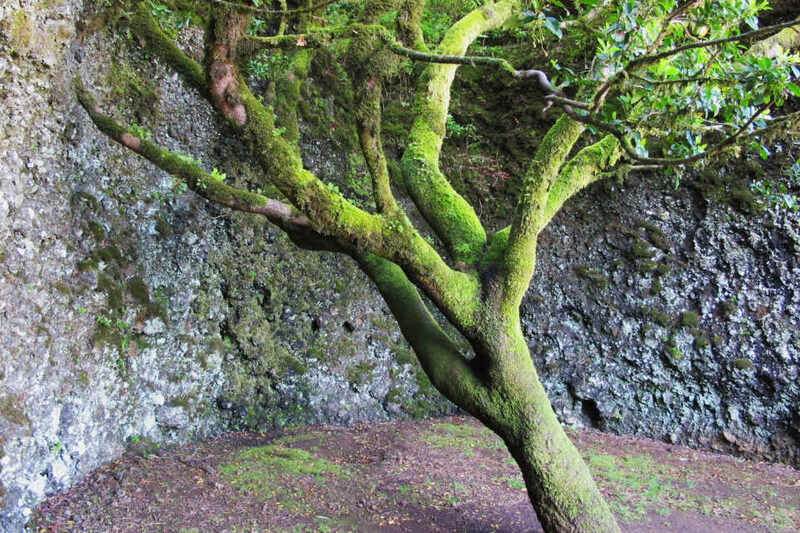 The ancient inhabitants of El Hierro adored this tree. They protected it and guarded its existence with their lives. Legend after legend has been told about its purposeful life. From its days as the water source of the island, up to when it was discovered and uprooted by a hurricane. Surrounded by a magnificent landscape, it’s an attraction with a deep-rooted story. It is one of the island’s icons. Meet El Garoé, an apt symbol for a land that did not only struggle and survive but also to thrive.